Seven years have passed since Morocco took the initiative, with the strong encouragement and backing of Washington, to offer a compromise political solution to the enduring Cold War legacy dispute over Western Sahara. Beginning with the presidency of Bill Clinton, three US Administrations—including that of President Obama—have endorsed yearly calls from the UN Security Council for a “mutually acceptable political solution” to resolve this fundamental roadblock to cooperation between Morocco and Algeria and thus greater socio-economic and security integration in North Africa – a key US objective well before the Arab Spring sent the region spinning out of control. The Moroccan initiative was the perfect fit to the basic compromise design repeatedly suggested by succeeding US Administrations. That is, a large degree of autonomy for the territory which would remain under Moroccan sovereignty. Morocco would maintain its historical territorial integrity and the people of the region would be free to conduct their own daily affairs. In addition, the region and the larger international community would avoid, maybe I should say escape, the threatening creation of a new, non-viable, certain-to-fail state in an already far too dangerous and tumultuous corner of the African continent. More ungovernable political space in the Maghreb fits nobody’s national interest these days (except, perhaps, that of various salafist jihadi groups already infesting the region). Washington has dutifully praised the Moroccan initiative as “serious, credible and realistic” many times since it was first revealed in April 2007. How could it be otherwise, since this idea originated from inside the US State Department in 1999? The language has since become a staple of all high-level meetings between US and Moroccan officials. Indeed, it was solemnly repeated by President Obama on the occasion of King Mohamed VI’s visit to Washington in November of last year. But as the saying goes, “beauty is as beauty does.” The problem here is that our difficult-to-deal-with friends in Algeria seem to have a hard time hearing the message because what the US has to say on the matter fails to match up well with what the US is seen to be doing about it. High-minded, high-level verbal endorsements have not been followed with concrete and visible actions to reinforce the message that the US is firmly and irrevocably committed to this kind of compromise solution. 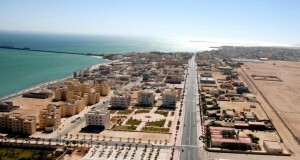 The lack of such tangible support leaves those in Algiers, and among the intransigent political leadership of Algeria’s puppet Sahrawi followers in the Polisario, with the notion that the US is perhaps only lukewarm about this policy initiative of its own making and can possibly be persuaded to change its mind at some point. This leads to the stalemate we have seen on this issue since the notion of a political compromise first gained the support of the Security Council over a decade ago. The time has come for Washington to assume some responsibility and demonstrate that it actually means what it says. Few people around the world take us at our word these days for exactly this kind of fecklessness. So what can be done to begin to persuade our friends in Algiers, and among the calcified leadership of the Polisario, that the US is actually serious about this sovereignty/autonomy trade-off as the only viable solution to this problem? In the first instance, the US needs to demonstrate that the Herculean and expensive efforts that Morocco has made over the past 15 years to dramatically improve the well being and quality of life of the Sahrawis living in Morocco’s Saharan provinces is both commendable and worthy of our direct assistance and support. The Congress of the United States certainly thinks so. For the last several years, a bipartisan majority of both the House and the Senate have been urging the US Administration to step up and be more demonstrable in its support for Morocco’s autonomy initiative. In the last two funding bills to pass Congress, specific language was included that specifically urged the Obama Administration to get behind Morocco’s effort to improve circumstances in the Sahara with direct US development assistance. Congress has it right. The Administration needs to follow suit. If and when it does, Algiers and the Polisario might just begin to get the message we say we want to send. Words need to become deeds here. This would be a good first step. Another strong signal would be to lift the senseless ban on senior US diplomats visiting the Moroccan Sahara. The State Department deserves to be informed by the personal views of its most senior diplomats regarding what Morocco has accomplished and continues to do regarding the single most enduring issue in our bilateral relationship over the last 40 years. We should let our Ambassadors and Assistant Secretaries go talk to people there and have a look for themselves. Maybe they will gain a better appreciation of why we need to get behind Morocco’s efforts there – and help send the signal to those who are unwilling to accept a reasonable and just compromise that the US is going to be moving on without them if they continue to prefer conflict over cooperation. Robert Holley is a Senior Policy Adviser at the Moroccan American Center for Policy in Washington, DC. A retired United States Foreign Service Officer (1980-2002), Mr. Holley has extensive policy experience in Trans-Atlantic security issues as well as the politics of transitional societies in Eastern and Central Europe, Latin America and the Caribbean and North Africa. Prior to his Foreign Service career, he was a US Army aviator (1967-1974). He has also taught courses in US foreign policy at the Yale Center for International and Area Studies and the University of Florida. He was Counselor for Political Affairs at the US Embassy in Rabat, Morocco (1998-2001) where, simultaneously, he was also the US Government’s principal political interlocutor with the Polisario Front. He is the recipient of numerous US and foreign military medals and civilian honor awards, including the Secretary of State’s Career Achievement Award and both the Silver and two Bronze Stars and fourteen awards of the Air Medal for combat service.